BILLINGS, MT –For the second year in a row, Austin Adventures, a leading family adventure company, is dedicating the entire month of March to “Family Appreciation,” with special incentives and giveaways, plus an interactive child & parent “Take a National Park Vacation” webinar that all ages will want to attend. The seminar will be hosted by Kasey Austin, Outside Magazine 2014 Family Guide of the Year. Making a cameo appearance will be Dan Austin, company visionary and travel industry legend. Together, The Austin Family has set the bar for family adventure travel for decades, so much so, they are often referred to as “the First Family of Adventure Travel”. For more information and trip availability, call 800-575-1540 or email info@austinadventures.com. For a full roster of Austin Adventures’ 2019 trips, cruises and distinctive accommodations on seven continents visit: http://www.austinadventures.com. To access the 2019 digital catalog or order a print copy, go to: https://www.austinadventures.com/request-catalog/. SAUSALITO, CA – It is one thing to see a sloth at a zoo or rescue center, but how many kids can boast seeing more than a dozen along with multiple troops of wild monkeys during a jungle hike on just the second day of their vacation? Such an experience can inspire a child to eventually become a biologist, start a green business, or just live his or her life more respectful of nature and connected to the wonders of life. The 9-, 10.5- and 14-day itineraries, crafted by Cohen have been designed to, “put families in front of more wildlife than any other eco-tour offered today.” Days include expert-led wildlife excursions in up to eight national parks and wildlife reserves, cloud forest canopy bridges and zip-lines, whitewater rafting, wildlife-spotting float trips, smoking volcanoes, bubbling hot-springs, sun swept beaches on both coasts, a sloth rescue program, scarlet macaw migration, hands-on learning at a wildlife rescue center, sea-kayaking with dolphins, snorkeling at night in the bioluminescence, night hikes for nocturnal animals and much more. 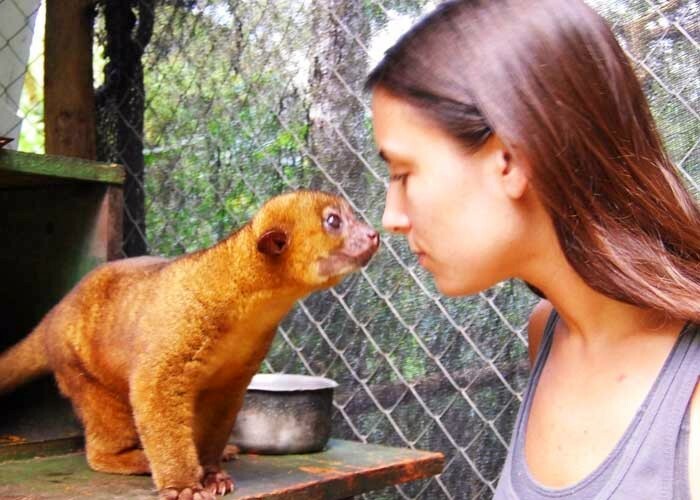 Included is a specially arranged experience at La Selva Biological Reserve. 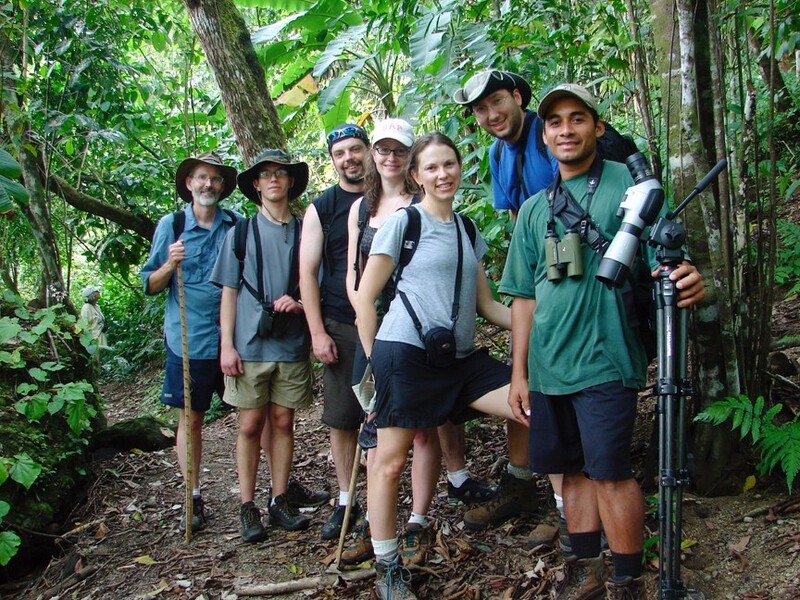 La Selva is the largest field station of the Organization for Tropical Studies, where 64 universities from all over the world offer graduate and undergraduate courses in tropical rainforest biology. La Selva hosts approximately 300 scientists and 100 university courses every year. Wild Planet has negotiated a special program here where guests hike the trails of La Selva’s private reserve with biologist guides with the opportunity to interact with researchers and even peek into the labs, conditions permitting. Cohen likes to recall the time, when on a recent trip, a 13 year-old traveler was completely enthralled upon meeting a biologist who was researching how female red and blue poison arrow frogs return after a year to a site where they previously laid their eggs. Learning how the frogs are able to remember the exact location of oviposition in the dense rain forest and even identify their own offspring out of thousands of young frogs impacted that child far more than any textbook could. Young travelers are also treated to Wild Planet’s special Sloth Rescue program where they can interact with animals, scientific researchers and wildlife experts. There is also a special hands-on “voluntourism” segment at a wildlife rescue center, complete with feeding. Authentic, in-depth and non-commercial excursions into Costa Rica’s parks and reserves are led by Wild Planet’s gifted naturalist guides, over 90% of whom are trained biologists. Itineraries are specifically designed to take full advantage of the extreme biodiversity Costa Rica has to offer. Strategically comprehensive, itineraries include both lowland and mid-elevation rainforests on both coasts, cloud forests on top of the continental divide, gallery forests surrounding the rivers, volcanoes, hot springs and both northern and southern climes, all while while maintaining a comfortable pace. “Such diversity is nearly impossible to arrange on one’s own,” explains Cohen, “as it requires precision execution in order to arrive at certain destinations at just the perfect moment.” An example of this is a visit to Carara National Park when the group arrives at the ideal time to see the evening migration of scarlet macaws returning from the coastal mangroves. Cohen believes that the wide variety of eco-systems they visit is one of the key reasons his “Ultimate Wildlife” eco-tour can boast significantly higher wildlife sighting statistics than conventional tours. There’s still time to take advantage of special family departures June 25, July 16, 21 and 30 as well as Christmas family departures December 17, 24, 26 and 31. Wild Planet strongly suggests booking as early as possible for best airfares. For detailed itineraries, exciting wildlife photos and video galleries and booking information for tours worldwide, visit http://www.wildplanetadventures.com/, call 1-800-990-4376 or email trips@wildplanetadventures.com. Recently, Wild Planet Adventures received its fifth “Worlds’ 50 Best Trips” award from the editors of National Geographic Traveler for its “On the Jaguar’s Trail; from the Pantanal to the Amazon” wildlife safari in Brazil. Previous National Geographic Traveler awards went to Wild Planet’s Thailand, Costa Rica, India, Panama wildlife eco-tours and its ultimate African safari in Zambia. Wild Planet Adventures is also recognized by other top travel publications for its wildlife-focused itineraries in Africa, Borneo, Brazil, Costa Rica, Galapagos, India, Laos, Nepal, Panama, Peru, Thailand and Zambia. BERKELEY, CA –Backroads, a leading active travel company, has just introduced a slew of spring break trips for the whole family, ranging from Florida’s Key West and the Everglades to Hawaii’s Big Island, Costa Rica, Palm Springs and beyond. The all-inclusive family adventures offer a perfect blend of activity choices for all ages including biking, hiking, kayaking, cultural exploration, great food and unlimited opportunities for adventure. Backroads makes traveling easy for families by handling all of the planning and logistics and making booking a breeze. Families traveling with Backroads find it easier to engage with the destination, with everything taken care of, there is less family tension and as kids unplug from their electronics opportunities for interaction abound. Each itinerary balances quality time together and apart, with welcome opportunities for everyone to take a break and recharge—usually impossible on a family vacation. Bike on quiet roads amid gravity-defying rock formations and Joshua trees, rock climbing, pool time at luxury hotels, bird watching, hiking and more. More information about Backroads’ family adventures is at www.backroads.com/award-winning-tours/family. Backroads was founded in 1979 by Tom Hale and has been in business for more than 37 years. The company hosts thousands of guests, 80% of whom are repeat guests or referrals from past guests, in hundreds of locations across the globe. Backroads was named one of the top 100 places to work by Outside magazine in 2015, and is a founding member of the Adventure Collection. For more information, visit www.backroads.com or call 800-462-2848. Salt Lake City–Rafting pioneer Western River Expeditions advises on the key questions families should ask before embarking on a river rafting vacation. Merrill and his staff have heard it all from first time river runners, from “will there be flush toilets and room service?” to “I can’t swim, but can I still go?” But they also appreciate that no question is too silly or inappropriate. First, “Is a raft trip right for me and the family?” If you’ve been eager to get the kids away from an over-civilized world and all its technology and overload, river rafting is a great place to start (hint – no Internet or cell service!). “How young can children be?” This question is river-dependent. If the river is relatively tranquil in post-spring runoff, with most rapids being Class III or lower, children as young as five can often be accommodated with Coast Guard-approved age-appropriate life jackets. “How old can Grandma and Grandpa be?” This is truly more a question of physical ability over age. Western River Expeditions has taken 85-year-olds down the river who can get on and off the boat and hike better than a 60-year-old. Discuss your physical level with your outfitter to help you make the best choice. 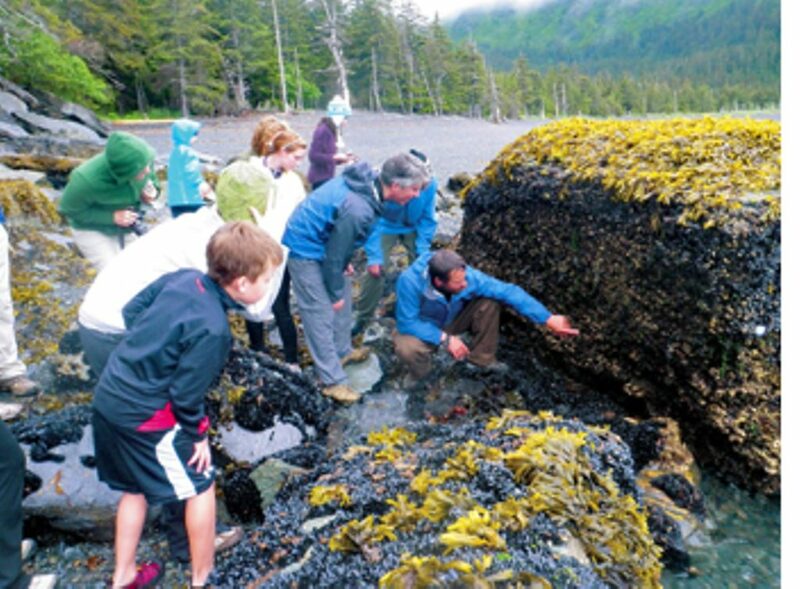 Note that Western River Expeditions does offer an interesting option for the older crowd. On Grand Canyon trips, Western uses a patented boat called the “J-Rig.” This 37-foot motorized craft offers quite a bit more flexibility in seating and comfort than traditional rafts and can be a great way for Grandma and Grandpa to join a trip. “Is it mandatory to know how to swim?” Non-swimmers are welcomed on most all river trips. Coast Guard-approved life vests (PFDs – personal floatation devices) are mandatory as well as a safety talk prior to departure. Non-swimmers, however, should have a heart-to-heart chat with their potential tour company before making a reservation for a rafting trip with larger whitewater. Bottom line: “Is rafting dangerous?” The element of risk (and thrill) that comes with running the rapids is why river rafting is so popular. But there’s perceived risk and then there’s real risk. That’s where professional river guides come in. They are extensively trained to minimize and manage risks. But there’s not much even your guides can do about your sunburn if you forget to put on sunscreen, or if you’re a klutz getting in and out of the boat! “How many hours will your gang want to spend on the river each day?” Some itineraries involve less time on water, more time at camp and exploring trails. But please come with a flexible attitude. The speed of the flow, location of campsites and how long lunch and day hikes take influence the amount of time floating, swimming and paddling on the water each day. “What if I’m nervous about whitewater?” Think options. There are rafting trips on calm water and trips with world-class whitewater. The type of boat you’re in also dictates the adventure. You can choose to paddle your own craft (most adventurous), ride in boat with a guide at the oars or with Western, ride atop a patented “J-Rig,” a large, motorized boat with seating up front for the more gung-ho or aft for more protection. “In camp, how much ‘roughing it’ is there?” Guests sleep each night in a wilderness setting on the river, in a tent or out in the open under the stars (your choice). Your biggest responsibility will be pitching your tent. The guides take care of setting up the loo, food prep and clean up. Camping is usually deluxe, comfortable and easy. Meals are often better than what you have at home. “What do little ones do at camp?” Think nature-oriented games and special hours for dining for youngsters, supervised by staff trained to work with children. There is truly never enough time for all that both kids and teens want to experience on the river. When you are ready to make a reservation, let the company know the ages and experience levels of participants. The company will guide you. For first timers and young families with ages five to 12, Western River Expeditions recommends a five-day trip on Utah’s Green River or Idaho’s Lower Salmon. For families with children ages nine and up, a three-day trip through the Grand Canyon may be the right fit. 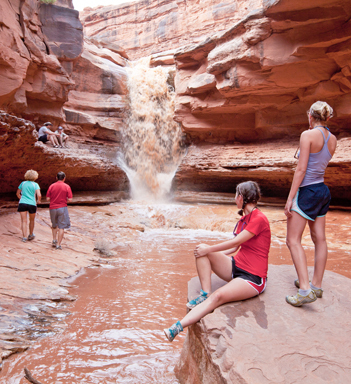 Those with children 12 and up have the widest range of options to choose from including Utah’s Cataract Canyon and a full six day trip in the Grand Canyon. 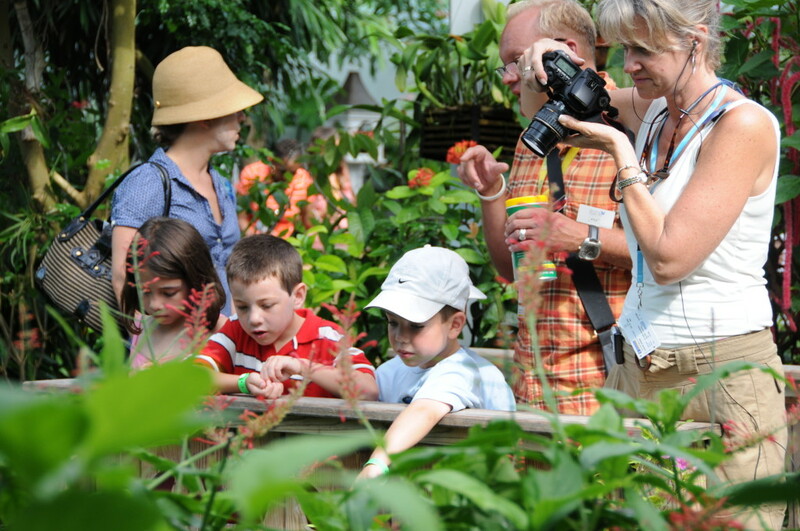 Chances are other families will be on these trips and the children have fun interacting and making new friends. For a copy of the 2015 catalog, questions, availability and reservations call toll-free: 866.904.1160 (Local: 801.942.6669), or visit: http://www.westernriver.com/.